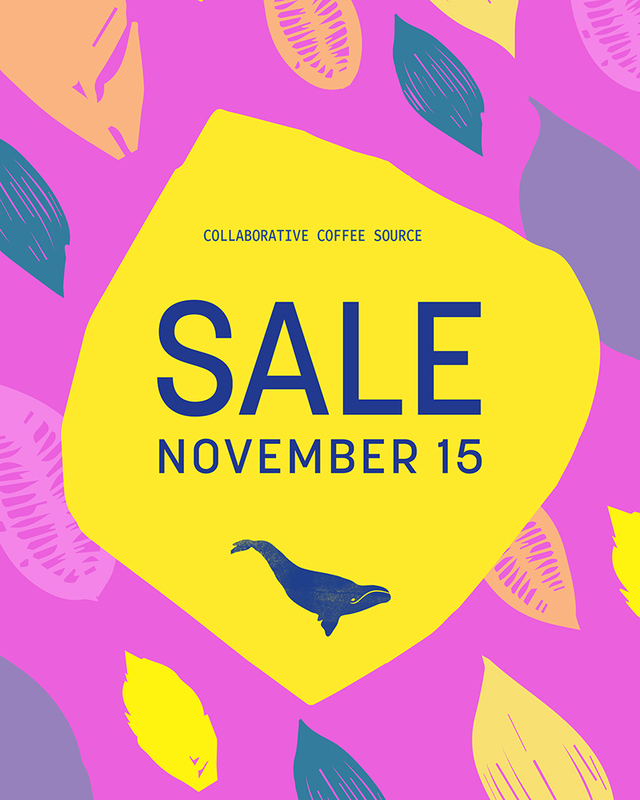 We need to clear our warehouse for some exciting coffees arriving soon, so we’re having a massive one-day sale on November 15, 2018. Most of these coffees are fresh and cupping beautifully, but we need to move them quickly. That means great prices for you as you gear up for the holidays. Check out these huge discounts. Contact Nico, Veronika or Bjornar in Europe, and Julia in Asia to book your lots. Contact Sal on the East Coast and Colleen on the West Coast to book your lots. In order to secure these great prices coffees must be booked on November 15, 2018 and released by December 15, 2018. No soft bookings, only contracted coffees can be purchased with these discounts. Mormora and Hunda Oli - 20% off! See the full Antwerp Warehouse Sale Price List for more deals. We are moving warehouses from Antwerp to Vollers in Hamburg which means we have a warehouse to clear, which means stellar coffees at clearance prices like these treasures from Ethiopia that we are offering at a staggering 20% discount. Mormora Coffee Estate is located in the Oromia Regional State, Guji zone, and Shakisso woreda (which is in this case, also a town). Shakisso is 500km south of Addis Ababa and Mormora Estate a further 20km from Shakisso. The farm is semi-forested and covered by indigenous trees. The varieties are ‘heirloom’which means the plants come from seeds that grow wild the area. The soil is red, brownand rich. It is made up of organic materials that have decomposed over decades. 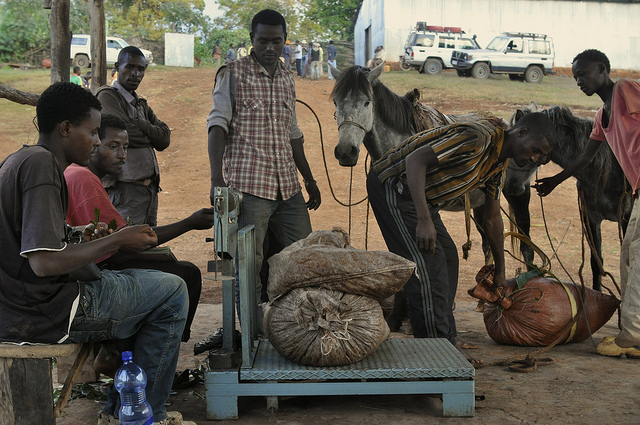 Ethiopian coffees court especially high expectations and attention year after year. Perhaps more than any other origin, coffee roasters look to Ethiopia to provide both stand-alone knockouts, as well as that little something to round out an espresso blend. Time and time again, the “Queen of Coffee Origins” delivers, despite a labyrinthine and constantly evolving coffee auction and export system. Year after year, coffee buyers eagerly make their way through Addis Ababa and into the countryside, in search of the next fabled cup. Ethiopian coffee is still made up of many wild growing coffee plants – most of them have not yet been classified, so the genetic diversity is currently incalculable. Being wild, these varieties have evolved naturally and so are well adapted to their surroundings. All this means that chemical inputs like fertilizers, pesticides, herbicides and fungicides are rarely used in Ethiopia; the majority of coffee produced is organic in the truest sense of the word. This Guji Natural is a mix of Guji heirloom varieties and exhibits rose rose water, cane sugar, berries, peach, citrus in the cup. Guji Natural by Mormora Estate, Ethiopia Variety: Guji Heirloom Process: Natural Score: 87,25 Normal Price: $11,07/kg With20% Discount: $8,86/kg You save $2.21! Hunda Oli is a cooperative located near Agaro, in the Jimma region in western Ethiopia, 397km from AddisAbaba. It is part of the larger Kata Mudaga Union. Farmers in this co-op grow Limu heirloom varieties. The cherries, once picked, are mechanically pulped and soaked overnight. 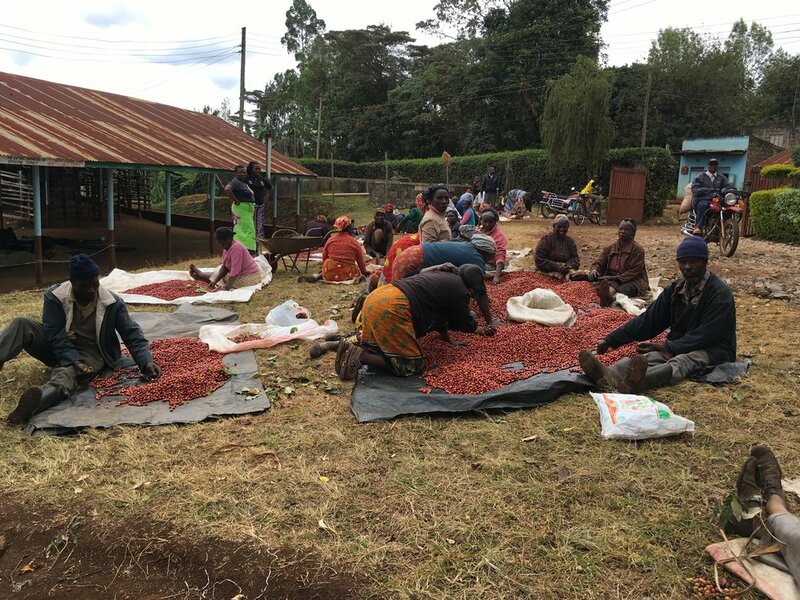 Beans are dried for 6 hours in full shade before being moved to main drying beds and turned regularly to ensure even drying. Hunda Oli Lot 15 scored 87 points and features floral notes fresh apricot, and a balanced and round cup. Hunda Oli Lot 15, Ethiopia Variety: Limu Heirloom Process: Washed Score: 87 Normal Price: $11,62/kg With20% Discount: $9,30/kg You save $2.32! Contact Nico to get your samples. While Fernando has had a coffee farm for quite some time, there was a period of eight years that he lived in Ibagué and his brother, Miller, managed El Progreso’s coffee production. On intuition, one day Fernando decided to move back to Acevedo to manage the farm himself and further, to change its production to specialty coffee. He didn’t know anything of about specialty coffee at the time. Thankfully, neighbour Alvaro Perdomo was already producing specialty and taught Fernando about how to change his processing techniques. Especially when to stop fermentation and start washing. 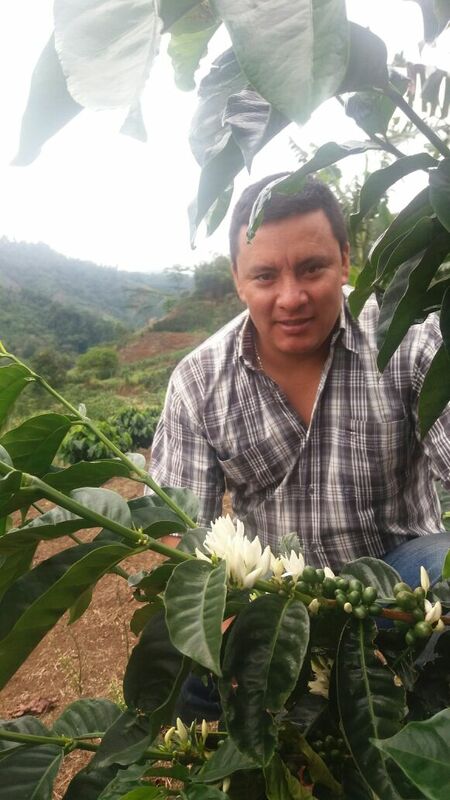 With the announcement of CCS’ Acevedo Cup in 2016, Fernando worked the best he could with the coffee harvest. He knew he’d made it to the competition selection, which was screened and determined by Fairfield’s cupping team. The international panel of judges ranked the top twenty in mid-December of 2016, but Fernando had planned a trip to Ibagué during the awards announcements and ceremony, so he missed hearing his name called. When he heard that El Progreso had won second place, he was elated. With the premiums earned from the competition, he planned to build three new fermentation tanks and more drying facilities. This lot is fruit-forward and sweet: berries, stone fruit, nougat and a clean finish. This lot is a "Hamlet Blend" of coffees that were entered into the CCS Acevedo Cup 2016 that did not reach the top twenty. Everyone whose coffee made it into competition were paid price premiums, with the top twenty receiving incrementally better prices. The varieties are Caturra, Colombia F.6 and Castillo, grown between 1,400 and 1,600 meters above sea level. This blend offers notes of black tea, caramel, citrus and an overall balanced cup. Contact Nico for samples, and download the full Antwerp Clearance Sale price list here. We are moving warehouses to Vollers in Hamburg and clearing all coffees from our Antwerp warehouse. That means we have some exceptional coffees at clearance prices, like these coffees from Costa Rica. The name Don Oscar refers to the micromill owned and managed by brothers Alejandro and Horacio Solis Blanco. They named the mill after their late father who passed away recently from pancreatic cancer. Alejandro and Horacio are fourth generation coffee farmers, and they inherited Don Oscar’s love for coffee farming. They revel in both the physical work of tending coffee plants and being a part of the production cycle of coffee, from seed to parchment. The Solis Blanco family are a part of Costa Rica’s “micromill revolution.”In many coffee producing countries, “coffee producer” refers only to the person in charge of cultivating and picking coffee. In Costa Rica, however, smallholder farmers are also in charge of processing coffees collected from many small farms. As with any other production chain, those who control the means of production are the most empowered. Costa Rican coffee producers are therefore amongst the most empowered in the world. The Solis Blanco brothers offer a smooth coffee with notes of dried fruit, hazelnut and milk chocolate. Now: $11,23/kg or $10,73/kg for a full pallet. The operation has grown considerably in the last fourteen years. It started with just a depulper and some raised beds, and today Helsar de Zarcero serves a few dozen farms, including a few of the Perez family’s own. In Helsar’s first year of production they yielded 250 bags. In 2016, the micromill produced 5000 bags, 15% of which was organic certified. The family advocates for environmentally sustainable practices and in addition to their organic certified coffees, they aim to become Costa Rica’s first carbon neutral micromill. They use both collected rain water and fresh water to process cherries in the eco-pulpers. Each year they plant around 700 trees to offset the carbon their equipment produces, and they set up a fully organic certified cascara production. Ricardo & Isabel are third generation coffee farmers and it appears this tradition will continue as their daughter Lucía takes on more responsibility at Helsar. The pioneering Perez family produce a coffee with notes of macadamia, apricot, tea with a grape finish. Now: $12,55/kg or $12,05/kg for a full pallet. In Kenya, a “coffee lot” is made from a bigger batch of coffee that is delivered to the dry-mill from a cooperative on a given day. When a coffee batch arrives at the mill, it is hulled, analyzed technically and sensorially, screened (separated by bean size and shape) and given an outturn-number. AAs are flat with screen size 17+. ABs are flat with screen sizes 15 and16. PBs are pea-berries. Screen size does not necessarily correlate with quality in terms of flavor attributes. Nor is it true that PBs are more intense in flavor or better in quality than flat beans. We are clearing an exceptional coffee from Gichatha-Ini, Kenya, a factory (wet mill) owned by the Gikanda Farmers Cooperative Society. Located in the Nyeri district, this coffee is grown at 1600 masl in volcanic soil and exhibits notes of blackcurrant, jasmine, black tea with a juicy mouthfeel. Gichatha-Ini AA, Nyeri, Kenya Variety: SL 28/34 Process: Washed Score: 86 Normal Price: $17,42/kg Now: $16,92/kg or $16,42/kg for a full pallet. Contact Nicolas for a sample, or see the full Antwerp Warehouse Clearance Sale price list. Luis Pedro Zelaya Aguirre (LP) purchased Concepcion de Chuito in 2009. This farm is LP’s retirement project, which is likely why it is so aesthetically pleasing to the visitor. Farm Manager Cornelio Sapet has been working and living at Chuito since 1998. The Zelaya family are long-time coffee growers in the region with multiple farms plus a wet and dry mill. Their business endeavors are not only about profit, rather their aim is to build a sustainable business that supports many generations of their family, and the wider community. With this in mind, they are constantly looking for ways to create jobs. They encourage their workers to educate themselves and in special cases they finance this education. The family’s facility also offers workshops to all their workers. To achieve this prosperity, they aim to to supply the best quality coffee they can to their clients. LP’s coffee from Concepción de Chuito has notes of lemon, florals and sugar cane with a long finish. - 86.5 points. Now: $10,35/kg or $9,85/kg for a full pallet. We are moving warehouses from to Vollers in Hamburg which means we're having a clearance sale to empty our Antwerp warehouse! That means you can pick up some exceptional coffees for bargain prices. Located in Kirinyaga County, Mukure location of Ndia Division near Kerugoya town. It was established in 1979 and sits on seven acres of land serving Kiaragana, Nguguini, Karuku and Gathuthi Villages. Currently it is affiliated to Mwirua Farmers Co-operative Society Ltd and its membership stands at 1000, of which 600 are active members. 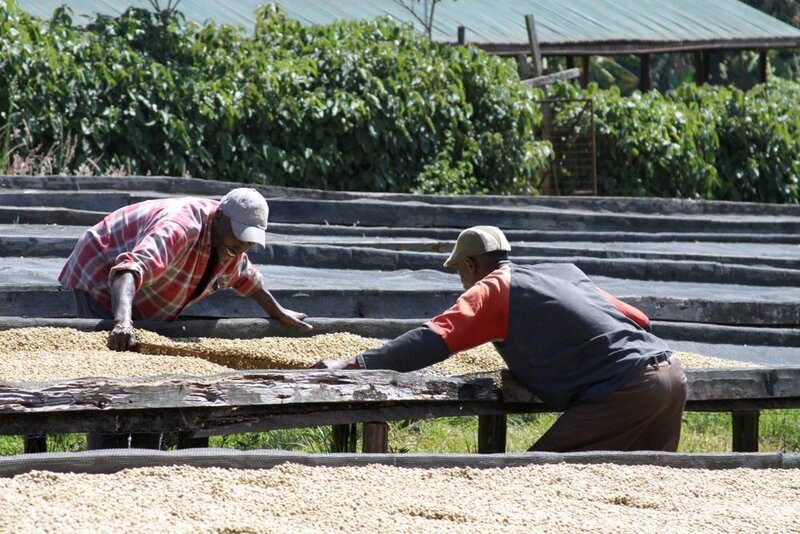 The factory is run by Daniel Kamau who oversees the production of an area that experiences a biannual production cycle with the early harvest running from April-June and the late second season running from October-December. The main varieties of coffee grown are SL28, 34 and Ruiru 11, with SL28, 34 accounting to 99% of all coffee produced. This coffee scores 86.5 and features blackberries and chocolate notes. Now: $12,79/kg or $12,29/kg for a full pallet. Mugaya Coffee Factory was established in 1975 and is a member of the Mutira Farmers Cooperative Society. Located in the Central province within the Kirinyaga district, it serves more than 1600 farmer members, owning an average of 180 trees each. The main varieties of coffee grown here is SL28, SL34 and Ruiru 11. This coffee scores 87 and features preserved lemons, plums, blueberries and hints of floral notes. Now: $12,66/kg or $12,16/kg for a full pallet. Established in 1964 the Kathakwa factory is situated in the Central part of Kenya, Embu County, well known for producing high quality coffees. It is affiliated with the Kibugu Farmer Cooperative Society (FCS), and the factory serves two nearby villages of Kibugu and Nguviu. Other crops grown in the area include passion fruit, maize, beans and tea. This washed mix of SL-28 & 34 scores 86.75 and features yellow raisin, blackcurrant blossom and honey. Now: $16,03/kg or $15,53/kg for a full pallet. These great offers won't last. Don't miss out. Contact nicolas@collaborativecoffeesource.com to order your samples and download the full clearance price list. Alvaro Rodriguez is 66-years old and has been a coffee farmer his whole life. Although his passion is coffee, Alvaro also owns a dump truck and works as a truck driver, transporting construction materials. It is Don Alvaro's meticulous attention to his coffee plants that keeps our partnership with him thriving year-after-year. Alvaro is one of the most fastidious farmers in LP&ET's Neighbors&Crops program when it comes to coffee fertilization and harvesting. His washed coffee scores 87 and features red apples, plums and a full body. Now: $17,97/kg or $17,47/kg for a full pallet. Left to right: Teka, Mohammad and Abdul Assiz, site managers of the Duromina Cooperative, near the city of Agaro, Jimma zone, Ethiopia. Their 86.5 coffee expresses blueberry, slight lime notes with a chocolatey medium body. Factory manager Daniel Kamau works in the Kiaragana Coffee Factory, located in Kirinyaga County, Mukure zone of Ndia Division near Kerugoya town. It was established in 1979 and rests on 7 acres of land serving Kiaragana, Nguguini, Karuku and Gathuthi Villages. Currently it is affiliated to Mwirua Farmers Cooperative Society Ltd. This washed mix of SL 28 and SL 34 features earl grey, bergamot, nougat and a prune finish. These great offers can't last. Don't miss out. Contact nicolas@collaborativecoffeesource.com to order your samples and download the full clearance price list.